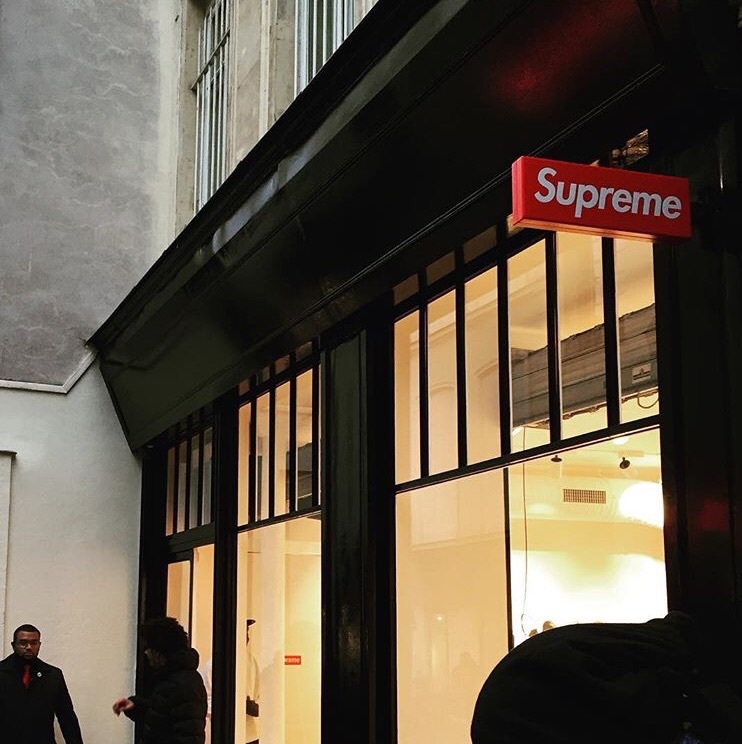 As you all know, Supreme just opened its Paris store earlier today ( 3/10/16). The New York based streetwear giant has made a huge impact in the industry on a level I cannot even fully grasp. The influence Supreme has had on the world of fashion has been cemented and is here to stay. Before today, Supreme only had stores in New York, LA, London, and a few stores scattered throughout Japan. All of the cities that Supreme is located in, are considered "fashion capitols" of the world. Today they finally conquered the premier high fashion capital of the world: Paris. The Paris Supreme store developed a lot of buzz among the fashion world. The God Rick Owens (below) even made an appearance at the new store. Supreme is a brand that urban youth identify with, and I believe that Supreme's presence in Paris will develope a new youth subculture in the city that is the end all be all of high fashion. Supreme is a brand that inspires and is such an important part of pop culture. Although I do not necessarily like some of the resell and hype culture that surrounds the brand. I like the brand itself and how it has stayed with its "exclusivity," although the brand's founder- James Jebbia said that Supreme is not exclusive anymore because it is available throughout the world instead of just the New York store. However with the amount of demand Supreme has, it is essential to have stores worldwide, but still keep limited quantities. I have seen it first hand how Supreme has influenced the youth in New York. It inspires creativity and helps introduce youth into the realm of fashion and skate culture. So as far as this day goes, I would say it's monumental for Parisain youth.